Thought it'd be fun to compile a list of the most off-the-wall things we've seen said in the cbox. Please don't list the authors of the statements. Will doing blow off my shinkis affect the resale value? Last edited by Xehn on Wed Aug 12, 2009 1:55 am, edited 1 time in total. I don't even know what a Voltron is. I'm going to pretend it's about Ron Weasley in an electric robot suit. I was designed by a guy who struggles to draw things without d*cks being put in them, and I manage fine. ...Does Isumi's grandmother count as a loli? "...you sure they're not just... vampires?" "Nah. 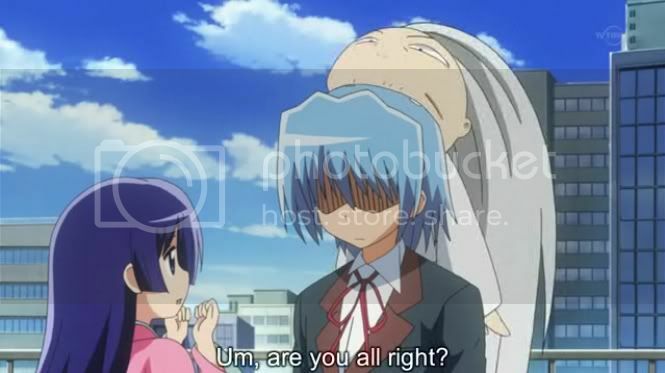 They only need it for emergencies and so they can show Isumi's great grandma sucking on Hayate's head." Context: stripping weapons in the field in order to clean them. Hey, that looks good to rub my face all over... Oh crap. Sorry! Context: thoughts of a cat knocking a figure down from a shelf.